Rochester Professional Consultants Network - Great Consulting Service, But Who Needs It? Great Consulting Service, But Who Needs It? Why can't I get clients? I do good things: Define my service and its value to potential clients. Choose a business name, logo, DBA or LLC or Corporation. Buy business cards. Do market research and write business strategies. Build my web presence with website & Social Media. Speak, publish, network and meet with prospective clients. So, why can't I get business? Could it be that my target clients don't see the value that I see in my consulting service? Too often, we launch a consulting business based on our own assumptions of the value of and demand for our service. But we don't know if our potential clients share our views. To avoid this pitfall, we must test our assumptions about our service and its benefits to clients. If we don't discover our prospects' opinions about our value, we risk building a consulting practice that won't meet our goals. "Great Consulting Service, But Who Needs It?" shows how to interview potential clients to discover if they need and want your service (and what to do if they don't). You'll learn how to build an interviewing strategy, then observe role plays that demonstrate the "Do's & Don'ts". Our Motto: "Ask, don't Sell." Here is a video in which Bob introduces his presentation. How to discover the value of your service as viewed by potential clients. How to build a potential-client interviewing strategy. How to ask questions and listen in a way that achieves your interview objectives. 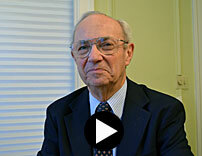 Bob Lurz coaches consultants to launch successful practices through his Consultants Accelerator. A strategy consultant since 1992, he's helped diverse organizations (startups to Fortune 500) giving him unique consulting business insight. A "Consultant's Consultant" and "Black-Belt-Facilitator", Bob helps his consultant clients understand their target clients and how to acquire their business. Bob designs and directs the highly-acclaimed RPCN Consulting Business Boot Camps. He's a Past-President of RPCN and its Business Forum Founder-Facilitator.